I was asked to make this post by some forum members after input to another. First things first. 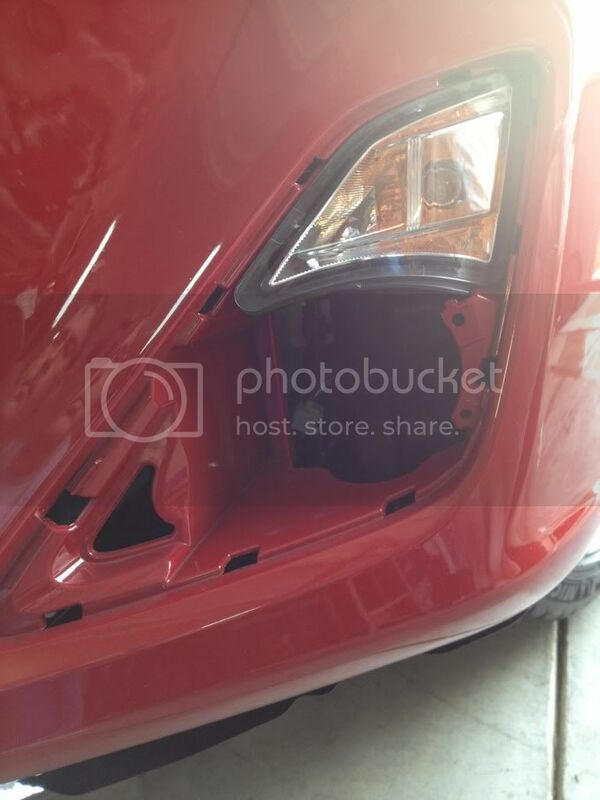 Install some Fog Lights. I won't go into this in much detail. Here is a very long thread that should cover anything about this part. Here are some pics of my install. The next thing that needs to be done is to get some sort of switch in the cab to turn them on and off. This can be as simple as an aftermarket harness and switch, or my choice to make them as factory as possible and use a headlight stalk with a fog light option. Here is the thread that covers the most of this. Here are some pictures I took while installing the stalk, unfortunately the job soon became a 3 handed operation and the camera was set aside. You play with an airbag so get the battery disconnected. Also make sure the wheel is straight. 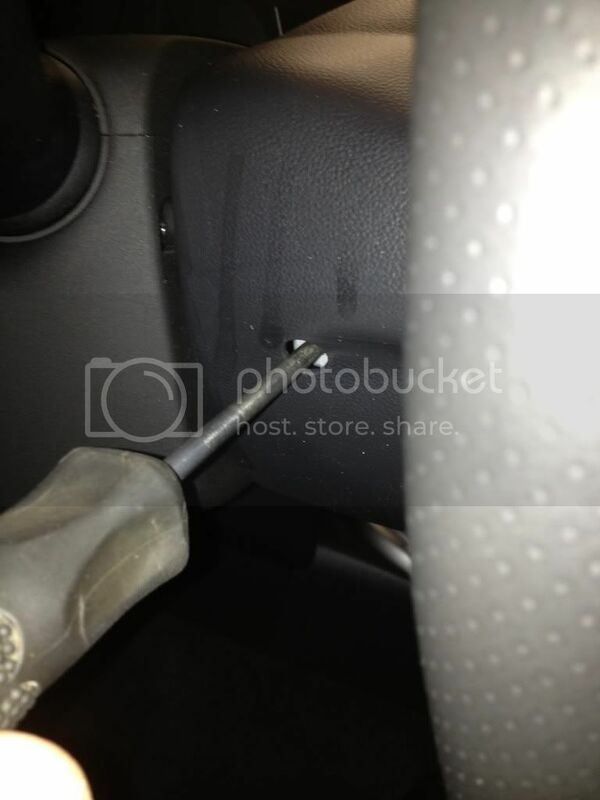 To get the airbag loose from is a simple matter of a small flat screwdriver through access holes on both sides and bottom of wheel. There are springs that hold it in place. Get the screwdriver blade on them and a gentle press and the bag pops loose. Have to hit all three. Once the bag is loose you need to disconnect it. A ground and the two power leads. The leads are locked so you must pry up the lock to disconnect them. Once you have the airbag out of the way this is what you have facing you. 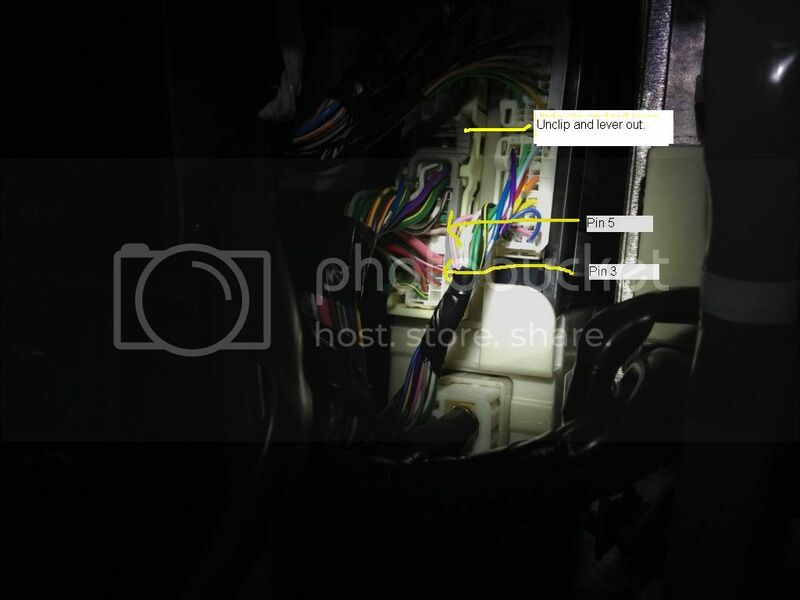 Unplug the white connector in the top of the picture. Remove the nut in the center of the wheel and gently pull the wheel toward you to remove it. Once the wheel is off this is what is in front of you. Unfortunately this where the two hands came into play and the picture taking stopped. I'll try and describe the steps from here. Remove the two screws from the wheel covering. Gently remove the bottom cover by seperating top from bottom. Next unplug everything you basically see. 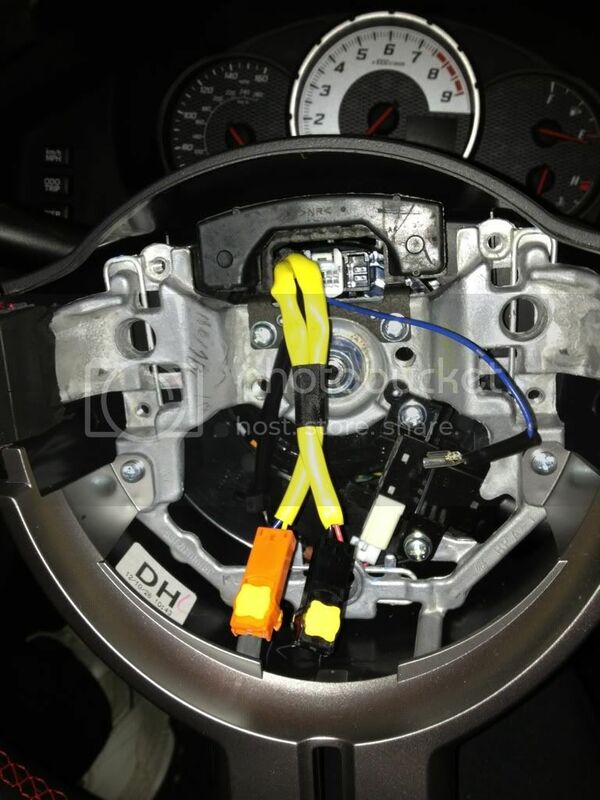 Lower left side is a white connector for the headlamp assembly. Lower Center is a white and yellow connector for the steering position sensor. The yellow connector has a specialty lock that has to be slid forward to get it disconnected. 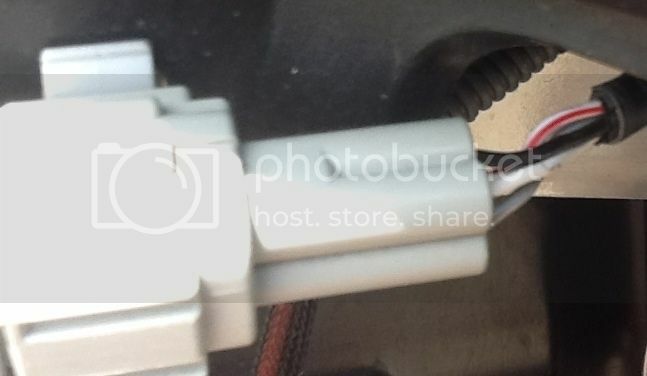 There is also a connector to the right side and rear of the steering sensor. There are 3 clips that hold the steering sensor. Unsnap them and gently pull it off. Keeping it clocked to the same location. Keep the yellow indicator in the window. To remove the headlamp stalk you need to compress the clamp on the back side and pull up the plastic lock underneath the spring at the 12 O'clock position and gently wiggle it off. Its. not easy.... Once you have it off transfer the turn signal switch to the new stalk and reverse the procedures to put everything back. The new stalk with fog light switch puts in a new circuit that basically grounds the fog light input to the BCM and activates the outputs to power the fog lights along with turning on the indicator. 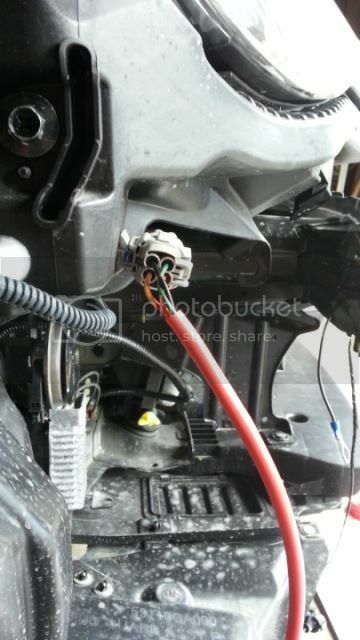 The thread I linked for the stalks talks about tapping into the white wire to signal an aftermarket wire harness. DO NOT DO THIS. Leave it alone. Just plug in the new stalk and move on. After you've installed a stalk with the fog light option and you turn it on the BCM then will fuse and power your new fog lights. The fuses and relay are already in the BCM. 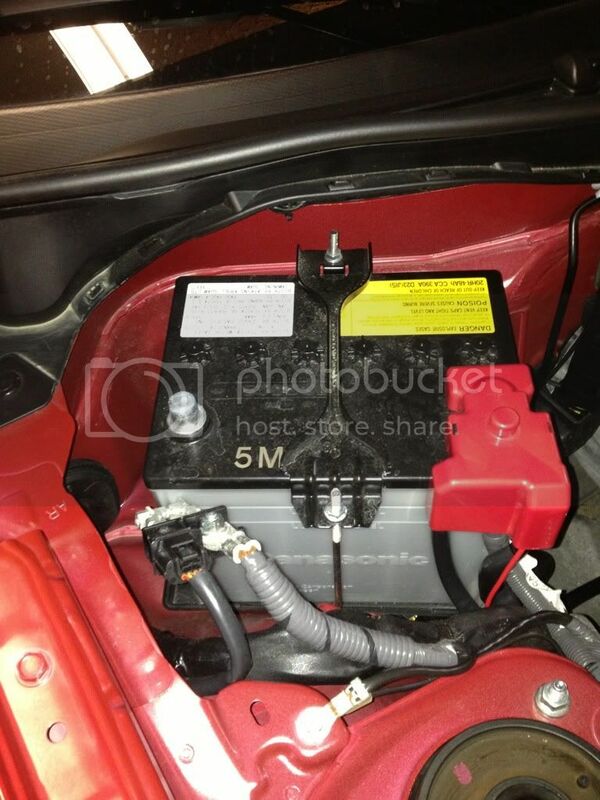 You don't need an after market harness with a relay. 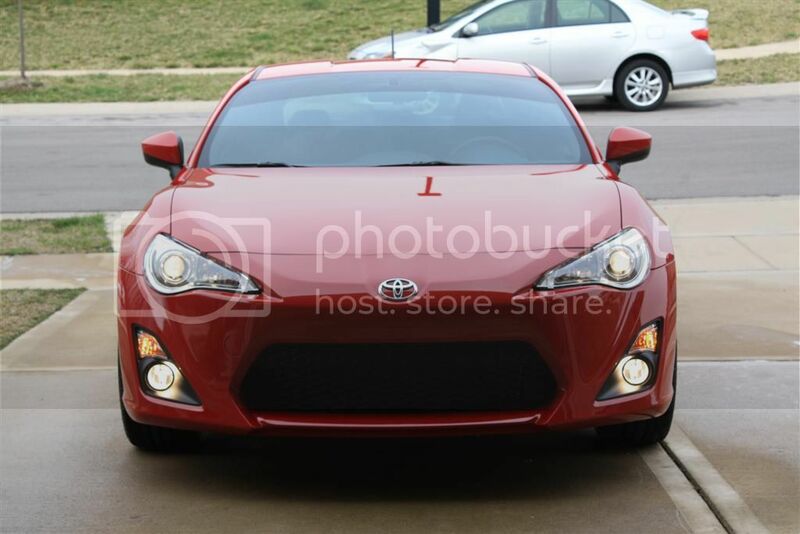 Here is a grab from the BRZ Electrical Manual. 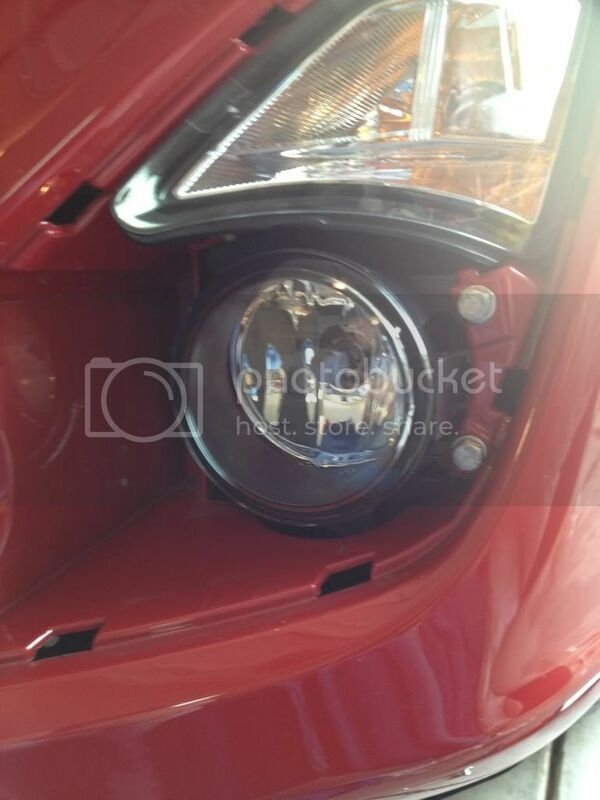 We need to complete the wiring to the actual fog lights. The wiring is already in the harness currently in the car but rather than digging through the harness under the hood I chose to run two new wires to the fog lights. 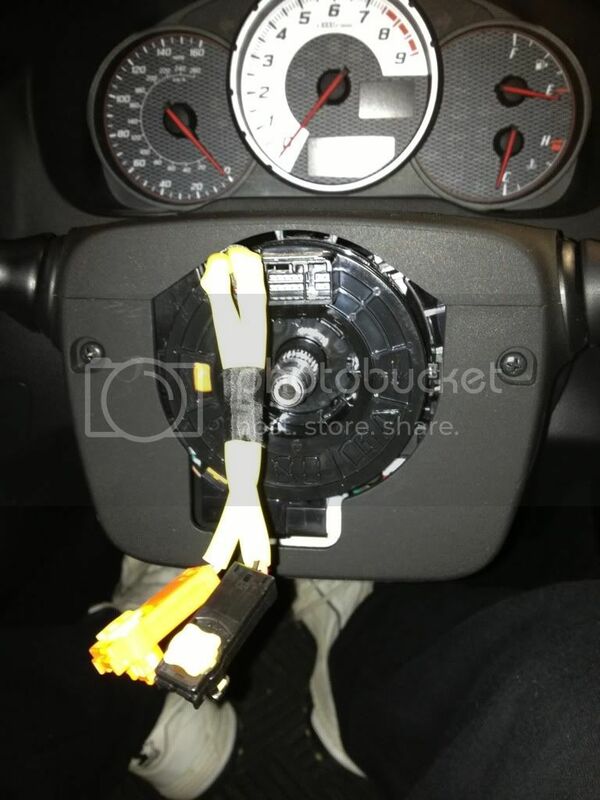 The better option which is developing as I make this DIY thread is to tap into the OEM harness behind the front bumper at the turn signal connector. I'll cover it later. If you don't wish to remove the nose of the car the following is an option. I choose it because I didn't want to remove the the front end to find where the wires terminated. In the schematic above everything shaded in blue is internal to the BCM. 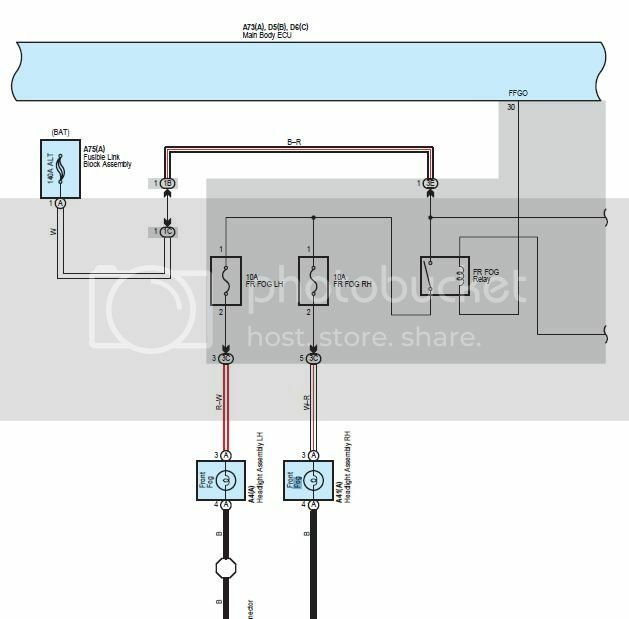 We need to tap into the connection points pin 3 and pin 5 of connector C3. The BCM and this connector are behind the panel under the steering wheel. 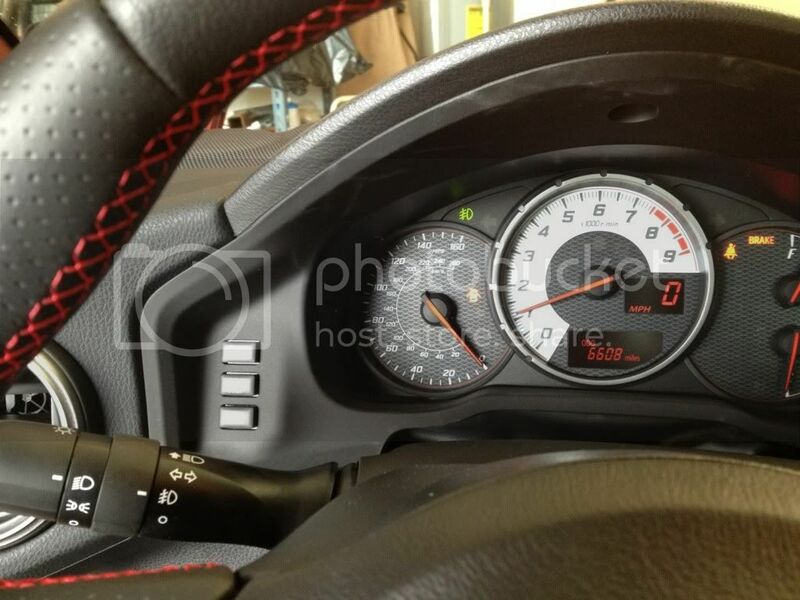 You remove the panel to the left side of the dash and remove one screw there. There is another screw to the bottom right of the panel that needs to be removed Then the panel just pops loose. Here is a schematic of the BCU and the location of the pins we are tapping into. This is a picture of C3 plugged into the BCM. With the red/white (pin 3) and white/red (pin 5) from the schematic above. These are the 12v outputs from the BCM when the fogs are turned on. 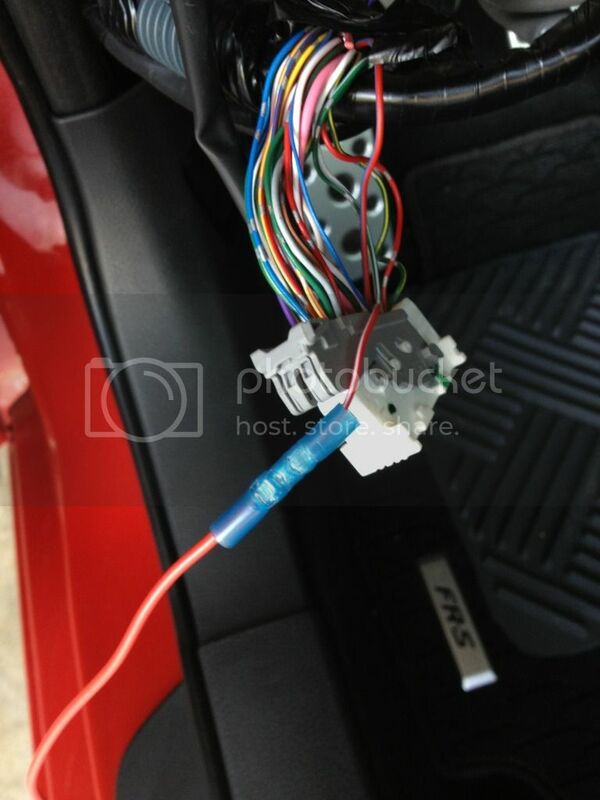 Cut and splice into each of these wires and feed them to the out to the fog lights. The red/white to the drivers side and the white/red to the passenger side. These wires will provide the power side of the fog lights. Find a ground somewhere near the lights to complete the wiring to them. Flick the switch and enjoy. Last edited by FRSFirestorm; 04-08-2013 at 06:24 PM. 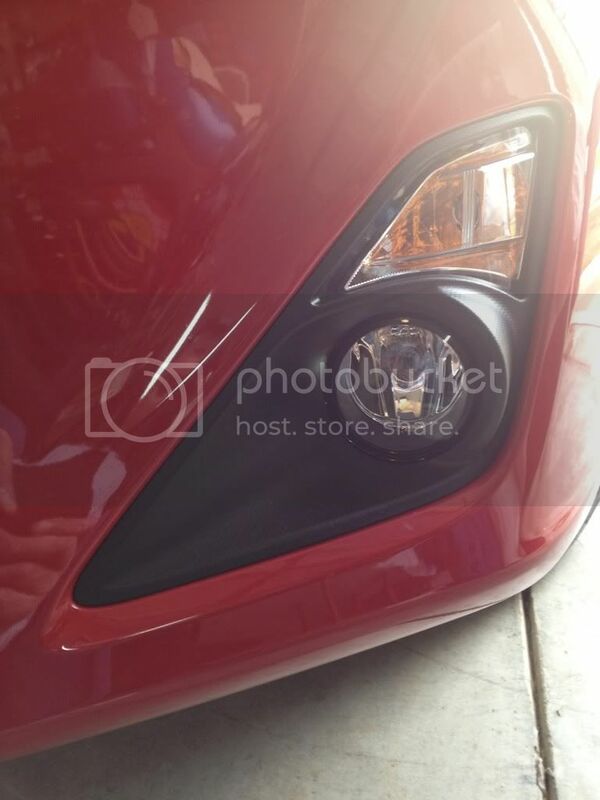 After installing the stalk and fogs remove the front cover. Find the connector that the turn signals plugged to. On the drivers side the red/white wire or 12v power for the fogs will be in that connector. 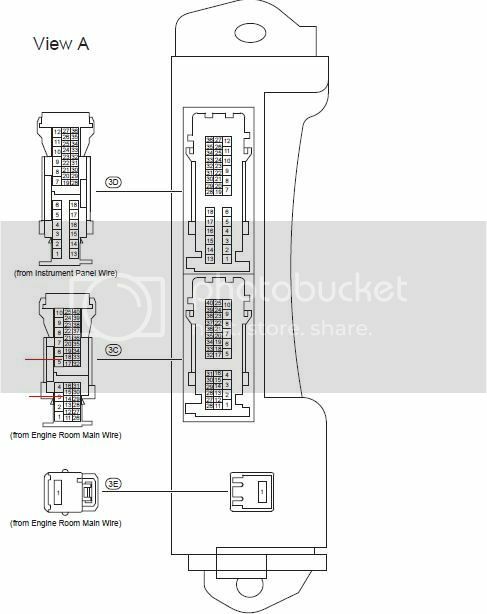 Either splice into the wire there and run it to one side of the Drivers fog connector and the other to a convient ground location. Do the same on the drivers side but the wire will be the white/red. Here are some pictures of the connectors behind the front cover. Last edited by FRSFirestorm; 04-08-2013 at 06:38 PM. Thanks for the updated wiring setup. Glad this is getting better and better. Indeed - it is getting better, easier, and cleaner with time. I don't know how to finish it now Since the wiring has been tracked down behind the bumper. You've done more than your fair share - you put us all on the right track. Thanks. After you've installed a stalk with the fog light option and you turn it on the BCM then will fuse and power your new fog lights. You just have to wire the. The fuses and relay are already in the BCM. You don't need an after market harness with a relay. 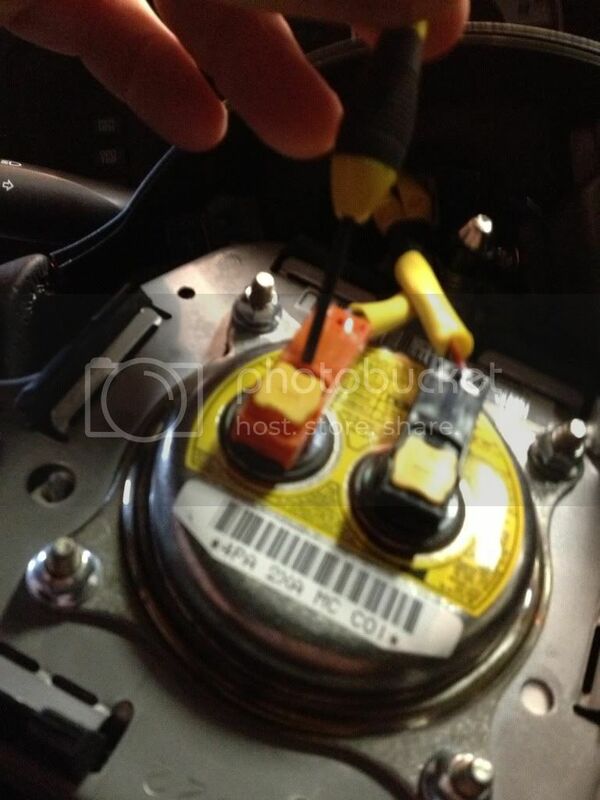 Here is a grab from the BRZ Electrical Manual. We need to complete the wiring to the actual fog lights. The wiring is already in the harness currently in the car but rather than digging through the harness under the hood I chose to run two new wires to the fog lights. so is nigels harness useless for this route? yes. all you need is about 24" wire and a couple of female flat pin terminals. The nigel harness is mostly useless for this route. As already mentioned all you need is about 24" leads to tap into the OEM harness but you also will need the connectors for the fog light bulb itself which the nigel harness has but I'm sure they can be found by themselves and much cheaper. Can I use your photo's from the other thread for this threa? The connector's behind the front nose.